Although you might think about purchasing a surveillance camera system in order to protect your commercial business from theft or robbery or to keep your home, family and possessions safe, you should also know that surveillance camera systems have their place in both public and private schools. Whether you are an educator or someone else who is involved in the school system, a concerned parent who has a child who attends a school in Broward county or simply a citizen who wants to make sure that the schools in your area are safe, you are making a smart decision by paying attention to school security and the security camera systems that can help children stay safe. Why Is Surveillance System Installation Important for Broward County Schools? If the school that you attended while you were growing up wasn’t heavily protected by surveillance camera systems, or if you have never heard of any serious safety and security issues in the schools in your area, you might wonder why surveillance camera system installation is important for schools in the Broward county area. However, it is important to realize that times have changed and that a lot of bad things can happen if school officials and educators don’t take every possible precaution in order to keep schools safe, which means that surveillance camera systems are a necessity in schools in today’s society. There are a few reasons why surveillance system installation is an essential for Broward county schools. First of all, you can’t ignore all of the bad things that have happened at schools over the years, even though these things aren’t pleasant to think about. No one wants to think about school shootings, bombings or other tragic incidents, but it is incredibly dangerous to pretend like these things do not happen. Even if you have never heard of such an incident occurring in the schools in your area, you never know when something bad could happen. It is better to take safety precautions sooner rather than later, so surveillance camera systems should be installed before anyone thinks that they are needed. If they are, they could help save lives and could help prevent children and the people who work hard to teach them from having to experience a tragedy. Along with helping to protect children and educators from school shootings and other deadly incidents, surveillance cameras can help keep schools safe in other ways. No child should have to deal with being bullied, but this is something that happens in schools every day. With surveillance camera systems in place, educators and others who work in the school system can look out for bullying, fighting and other similar types of violent behavior. Once they know about it with the help of their surveillance camera footage, educators can take necessary steps in order to handle these situations and to prevent them from happening in the future. Surveillance cameras can also help educators crack down on bad behavior. Drug, alcohol and tobacco use in schools is much more prevalent than a lot of people think, but it can be difficult for teachers, principals and others who work in the school system to catch this type of behavior and do something about it. A lot of students are good at hiding such things, but they can’t hide from well-placed surveillance cameras. Therefore, a good surveillance camera system can help educators keep drugs, alcohol, tobacco and other harmful substances out of schools and the hands of the students who attend them. 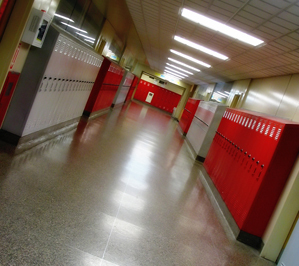 Lastly, surveillance camera systems can help school systems save a lot of money in the long run. Theft, burglary and vandalism are more common in schools all over the country than many people think, and these crimes can be very costly for the schools and community in general. With good surveillance cameras in place, however, schools can help deter this type of behavior from occurring in the first place, and the local law enforcement officials will be far more likely to be able to do something about these things with surveillance camera footage. Should All Schools Have Surveillance Camera Systems? Although a lot of people seem to understand why large schools or schools that are in dangerous areas need surveillance camera systems, many people think that smaller schools in safe communities don’t need them as much. However, it is important for every school to be properly protected and secured with a surveillance camera system, regardless of the size of the school or whether or not any issues have ever been reported at the school in the past. Not only do educators, parents and communities as a whole have to worry about high school students and the trouble that they can get into, but they also have to concern themselves with elementary schools, preschools and other educational buildings. By putting surveillance camera systems in every school, communities can work together in order to keep everyone safe and sound during the school day, which is priceless, even if security camera systems can be costly in some cases. What Type of Security Equipment is Installed in Broward County Schools? When you think about security equipment, you might be unsure of the type of equipment that is installed in schools. However, much of the same equipment that is used to protect homes and businesses can be used in a similar manner in order to keep schools safe and secure. First of all, both indoor and outdoor surveillance cameras are typically used in schools as a means of security. With these cameras, school officials can keep an eye on what is going on in and around the school. This can help officials catch any problems as they are happening, which will allow them to handle the situation, and it can also provide school officials and law enforcement officials alike with solid evidence in the event that something bad happens on school property. Along with being used in and around the school, more and more school systems are also beginning to use surveillance cameras on school buses as well. Along with surveillance cameras, digital video recorders are typically used as a means of storing and playing the footage that is captured; this footage is often played on a computer monitor or television screen. Burglar alarms can also be used to help protect schools from theft and other crimes, and things like metal detectors are also frequently used in order to keep guns, knives and other weapons off of campus. Who Can You Talk To About Surveillance System Installation in Broward County Schools? Realizing that your child’s school, or that a school in your community, isn’t properly secured for its students can be a scary realization, and you might be wondering what you can do about the the situation. If you feel as if schools in your area need surveillance camera equipment, you shouldn’t ignore your gut feeling and wait for someone else to do something about it. Instead, you should consider talking to others who might share your opinion. By talking to parents, teachers and other people who live in your community, you can drum up support. Then, you and the other supporters can head to a school board meeting or another type of meeting in your community in order to say your piece. Before you go in front of the school board or other prominent members of your community, make sure that you are properly prepared. Write down a list of reasons and facts of why you think school surveillance camera systems are important, and consider talking to a security camera equipment expert to find out more about the options that are available and the ballpark estimate of what it will cost in order to have this equipment installed in area schools. Although you might have a difficult time drumming up support for this matter at first, make sure that you do not give up until something changes. You may have to attend a few meetings or talk to a few people in order to get the ball rolling, but you might be surprised by just how many people will support your opinion and try to help you get security camera systems installed in the schools in your area. What Should School Systems Look for When Seeking Surveillance Systems Installation Services for Broward County Schools? Once a community has decided to install surveillance cameras and an accompanying system in schools, they are often a bit unsure of who they should hire for the job. There are a lot of websites and businesses out there that advertise security cameras and other security-related equipment for sale, and those who don’t have a lot of experience in these things can often end up choosing the wrong company. Since security and safety in schools should be a top priority, those who are looking into purchasing and installing the equipment should make finding the right security company a top priority. These are just a few of the things that school systems should look for when seeking security equipment and installation services. • The company should have plenty of experience in installing surveillance cameras in schools, government buildings or other large buildings. Although there are plenty of companies and technicians out there who know exactly what they are doing when it comes to installing security systems in homes or small buisnesses, a special level of expertise is involved in installing systems in large buildings with a lot of occupants, such as schools. By finding a company that has this type of experience, however, educators can feel confident in knowing that someone who is competent to complete the job is taking care of security-related matters at the school. • Price does matter, but it shouldn’t be given top priority. School systems should be willing to spend enough money so that they can ensure that the right security camera system is being installed, but it is only natural for school systems to be concerned about their budgets. Therefore, the person who is shopping around for the right security camera equipment and installation company should consider comparing prices in order to get the best system and the best service for the most reasonable price. • There are a lot of companies out there that try to promote subpar security equipment, but this type of equipment does not belong in a school. Therefore, it is important to do a bit of research in order to find out more about the brands and models of equipment that each company offers. Then, school systems can make sure that they are getting reliable security-related equipment. Not only can this help ensure that the students and the others at the school are getting the protection that they need and deserve, but the school can also make sure that it isn’t wasting any money on equipment that isn’t worth the price. Although it might seem stressful and time-consuming to shop around for the best surveillance systems installation services for Broward county schools, it is important to do so. By finding the right company, school officials can make sure that the equipment that is being installed is the right kind, that the installation goes smoothly and as it should and that it has the support and guarantee that it needs in the event that the equipment malfunctions and needs to be repaired or replaced. What Else Can Be Done in Order to Keep Broward County Schools Safe? Security camera systems are an essential part of keeping schools safe, but there are other things that can be done in order to promote safety and security as well. For instance, parents should talk to their children about bullying, fighting and school violence, and educators should put rules and guidelines into place in order to help maintain order and safety. By working together, however, parents, educators and concerned citizens in the community can help make schools much safer for the children who attend them and the teachers and other hard-working individuals who work hard to teach and protect them each day. Contact us today and have an expert answer all your questions regarding specific security needs.